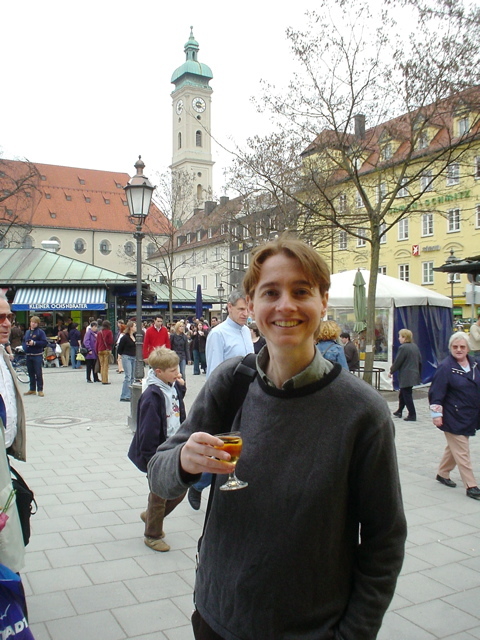 I sample some honey wine at the Viktualienmarkt in Munich. The wine was fantastic. I brought a bottle home.